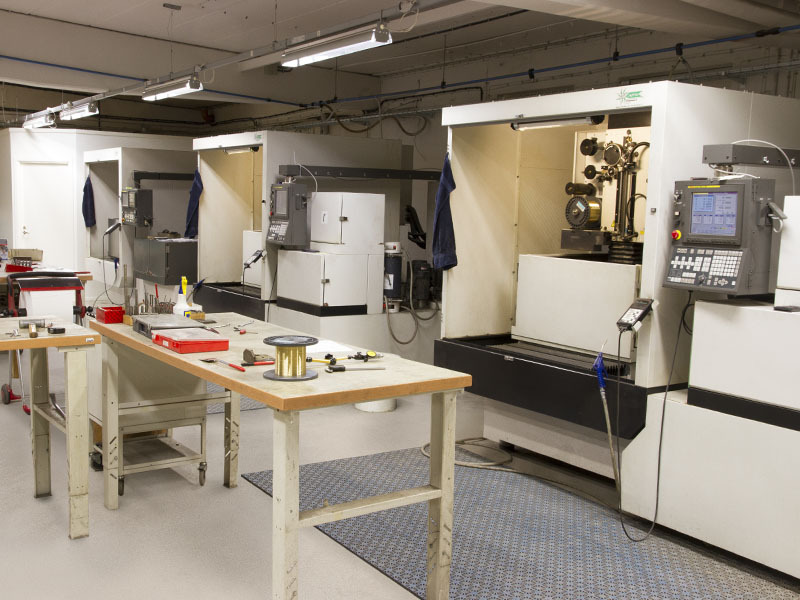 Jakobssons Trådgnistteknik is a specialist in cutting machining where strict requirements are placed on both the results and the speed. 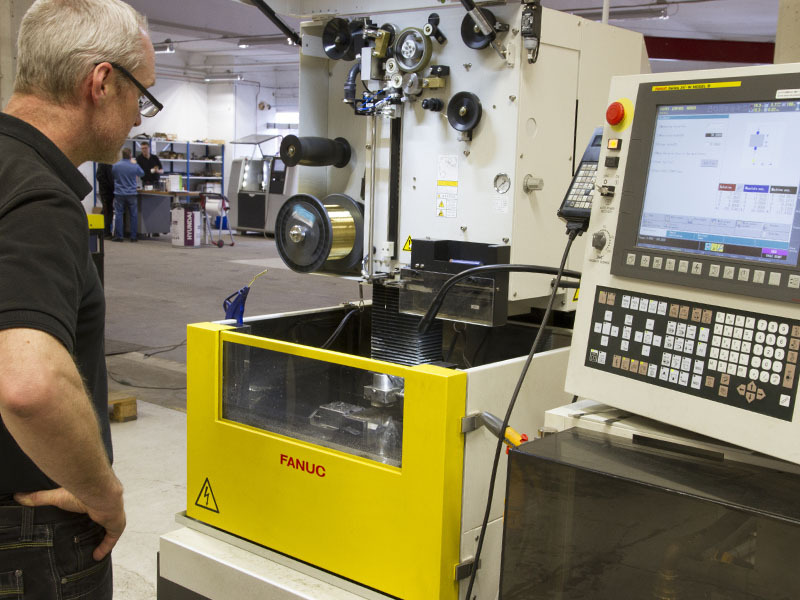 Using, among other things, electrical discharge machining and waterjet cutting we produce everything from small micro-components to advanced components ready for use, for instance, in toolmaking. 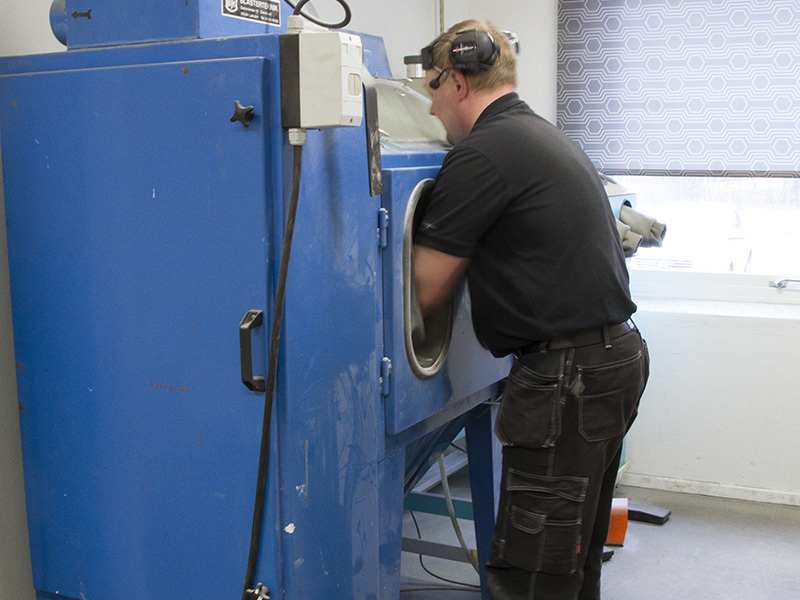 Our experience, machine fleet and knowledge means we are counted as the best in the industry. Using electrical discharge machining, we can manage almost any shape whatsoever. Moreover, with very high precision. 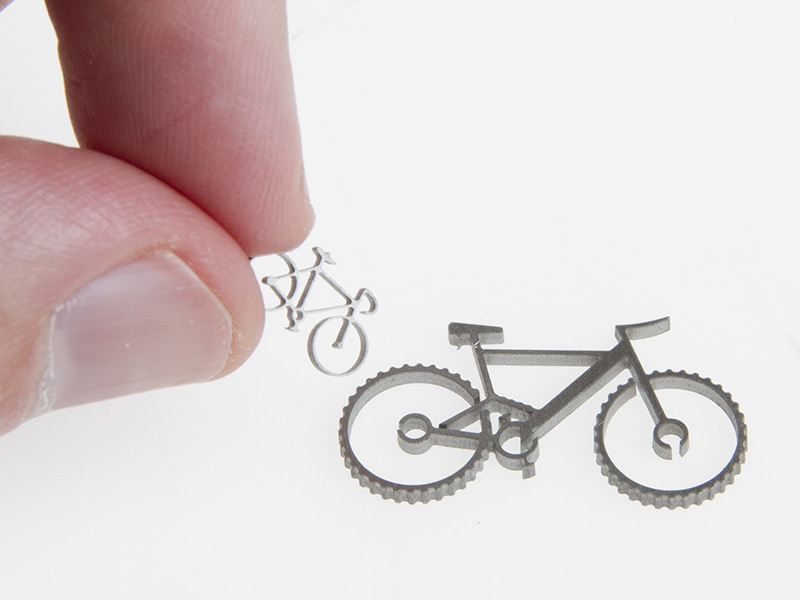 Precision waterjet cutting provides almost unlimited opportunities for both one-off as well as mass production. This is a fast machining process with high tolerance requirements. This is definitely the best and fastest alternative for producing tool shims. The tolerance is +/- 0.01 mm. Precision waterjet cutting provides almost unlimited opportunities for both one-off as well as mass production. With fast machining and high tolerance requirements, we produce large and small products that are completely ready for use – without any post-processing at all. Using electrical discharge machining, we can manage almost any shape whatsoever. Moreover, with very high precision. The only requirement is that the material must be electrically conductive. Tools, tiepins and sieves are just a few examples of what we can accomplish with electrical discharge machining. Do you need help with electrical discharge machining or precision waterjet cutting?